Diwali in 2014 is on October 23. The festival of lights Deepavali lights up the lives with happiness, prosperity, and peace. Diwali enlighten ourselves from within and its grand celebrations last for 5 days. Read on to know more about the facts of Deepavali by reading this article at Anushka Academy. Diwali or Deepavali in 2014 is one of the biggest and most famous festival of Hindus. According to the Hindu Calendar, Deepavali is celebrated on the New Moon day or Amavasya of the month Kartik i.e. during the month of October-November. Deepawali or Diwali refers to a row of lights. Deepavali in 2014 brings positivity and joy. It provides the real peace and happiness. The light of earthen lamps marks the glow of success and bliss of one’s life, it burns all the bad times and marks the new beginning of good times. People from different communities celebrate the festival with full enthusiasm and joy. There are different reasons for different communities for celebrating Diwali. Now, let’s see how people would celebrate Diwali or Deepawali in 2014 along with the significance of the Diwali festival. Diwali is a five days long festival and each day has its own significance. It starts with the festival of Dhanteras and ends on Bhai Dooj. Victory of good over evil, light over darkness is celebrated on Deepavali. Deepavali spreads the message of love and togetherness. Diwali in 2014 will come again with the same valuable message. People meet their friends and relatives and wish them Happy Diwail. Along with this, people exchange Diwali gifts as their best wishes. We can see that though there is a lot of time in Deepawali, still lots of gifts, sweets, lights, and fireworks are available in the market much before the festival of Deepavali in 2014. The whole atmosphere fills with positivity and festivity of the festival. This improves the feeling of warmth and closeness among people. According to the ancient stories, every year, the great reason behind the celebrations of Deepawali is the legend of Lord Rama returning back to his kingdom, Ayodhya after defeating demon Ravana. Therefore, the festival of Diwali represents the victory of good over evil. Deepavali will spread the same message again in the year 2014. Deepawali in 2014 will become an important time for the beginning of new financial year, as every Deepavali does. So, the businessmen of North India can again start their new financial year this Diwali in 2014. They worship Maa Laxmi and Lord Ganesha on Diwali or Deepavali, who are considered as the lord of wealth and wisdom. Diwali in 2014 will again be an important festival for the Jains and Sikhs as well. Different stories and legends describe the significance of Diwali in 2014 for different communities. Diwali or Deepavali/Deepawali in 2014 is also an important day for shopping as well. Throughout the year, people wait for Diwali shopping. Different schemes are introduced in the market on jewelry, electrical appliances, utensils and on automobiles that attract more and more customers on this special occasion of Deepavali in 2014. People shop for utensils, jewelry, or other precious stones and honor them as the gift of Goddess Lakshmi. 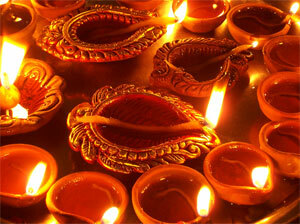 People light Diyas (earthen lamps) in their houses for welcoming Goddess Laxmi. The festivities of this grand festival last for five days. People enjoy these holidays with their loved ones with lots of fun and enjoyment. The whole atmosphere fills with energy and spirit of the festival. Let’s talk about the significance and celebrations of these days of Deepavali in 2014. Dhanteras Puja date is October 21, 2014. Trayodashi tithi begins on October 20, 2014 and ends on October 23, 2014. Dhanteras is celebrated on the first day of Diwali or Deepavali. 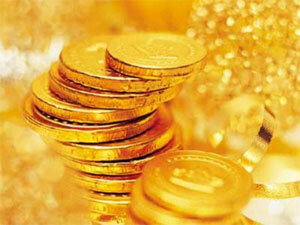 Dhanteras is made from the words Dhan and Teras, here Dhan refers to money or wealth and Teras refers to thirteenth; i.e. according to the Hindu Calendar it is celebrated on the 13th day of the month Ashwin during the Krishna Paksha. Goddess of wealth Maa Laxmi/Lakshmi is worshiped on Dhanteras. In the year 2014 also, Maa Laxmi will be worshiped by the devotees on Dhanteras. People worship Maa Laxmi and invite her to their houses by lighting Diyas or mud lamps and creating beautiful designs or Rangolis in the entrance of their houses or workplaces on the day of Dhanteras. They worship Goddess Lakshmi and pray for increase in wealth and prosperity. People will worship Lord Ganesha and Maa Lakshmi for increasing wealth and prosperity in their houses on Dhanteras in 2014. People decorate their workplace and worship Goddess Laxmi for increase in business. They shop for gold, silver, other precious metals or stones and utensils on this day, which is a mark of wealth and gift of Goddess Laxmi/Lakshmi in 2014. People will celebrate Dhanteras in 2014 by following these rituals. The horoscope of 16 year old son of King Hima predicted that he will die because of snake’s bite, on the fourth day of his wedding. His wife was very clever, she did not allow him to sleep the whole night. She took out all her ornaments of gold and silver and accumulated them in a form of heap. These ornaments lighted up the room, she also lit lamps throughout the room that prevented her husband from falling asleep. She started singing, dancing, and telling stories to his husband. When Yamaraj came, he sat there on the heap of ornaments and started waiting for the King’s son to sleep. King’s son didn’t fall asleep the whole night and Yamaraj quietly went away the next morning. 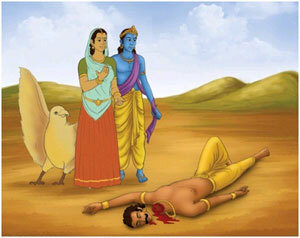 That’s how the intelligent newly wedded wife of King Hima’s son saved her husband’s life. This marks an important legend of Dhanteras. Narak Chaturdashi 2014 date is October 22. It is also known as Chhoti Diwali. Chaturdashi Tithi begins on October 22 and ends on October 23, 2014. Naraka Chaturdashi or Kali Chaudas is celebrated on the second day of Diwali. Kali Chaudas is made from Kali and Chaudas. Here, Kali refers to Goddess Maa Kali and Chaudas refers to the fourteenth day of dark half of the month Kartik. This day is dedicated to Maa Mahakali or Kali. People should also clean their houses and their thoughts on the day of Naraka Chaturdashi in 2014 and feel the festivity and purity of the festival of lights, Diwali in 2014. This day comes a day before Diwali, thus also known as Chhoti Diwali. On this day of Chhoti Diwali, people do preparations for further celebrations of Diwali, by lighting up lamps and by making beautiful Rangoli designs. Diwali in 2014 will also be welcomed by people by doing some special preparations. Let’s now talk about the legend of Naraka Chaturdashi or Chhoti Diwali, before celebrating it in 2014. The third day of Diwali celebrations is celebrated as the grand festival of Deepavali. This day is full of happiness and positivity. People celebrate Diwali with full zeal and enthusiasm; they wear new clothes, burn Patakhas and Phooljhadis (fireworks), and prepare good food for adding on to the festivities of Deepawali. It is a festival of lights. People light up Diyas and candles for spreading light all around. This light is the mark of happiness and positivity. The original purpose of Diwali or Deepavali, the festival of lights, is to fill our lives with the divine light of spiritualism and positivity, or with the light of its real source that is the Almighty. This light fades away the darkness of ignorance and evil things from our lives. People of North India and most of the Hindus follow the legend of Lord Rama for celebrating Diwali. Diwali is the day when Lord Rama came back to Ayodhya after completing his 14 years long expulsion and after successfully rescuing Mata Sita by destroying the demon, Ravana. People of Ayodhya were very happy by the return of their kind prince, Lord Rama. They lighted up the whole Ayodhya with lamps and candles, they decorated their homes with flowers and lights, and also prepared great food for Lord Rama. They declared Lord Rama as the new prince of Ayodhya. Till then, the day is celebrated as Diwali or Deepawali, which means the ray of light, hope, and a new beginning. Goddess Laxmi/Lakshmi was incarnated on earth on the day of Diwali. During the churning of ocean by demons and gods, Goddess Laxmi was incarnated as the goddess of money and wealth on earth on this special day of Diwali. Therefore, this day is considered important for worshiping Goddess Laxmi. It is believed that she roam around the globe on the day of Diwali, and resides in the houses of her devotees who welcome her with full faith and devotion. People keep the doors and windows open to let Goddess Laxmi enter. Lord Vishnu and Goddess Laxmi were got married on this special day of Diwali. When Goddess Laxmi came out from the churning of ocean (Samudra Manthan), on that very day Lord Vishnu and Goddess Laxmi got married. Thousands of lamps and lights were lighted for celebrating Lord Vishnu and Goddess Lakshmi’s wedding. This marks the celebrations of the festival of lights Diwali or Deepavali. According to another story, Vishnu in his fifth incarnation called Vamana Avatara saved Goddess Lakshmi from the clutches of King Bali on this precious day of Diwali. This is again an important reason for worshiping Goddess Laxmi on Diwali. The coinciding of so many auspicious incidences on the same day shows us the greatness of the auspicious day of Diwali or Deepavali in 2014. It is the day after the grand festival of Diwali, or the fourth day is celebrated as Govardhan Puja. Govardhan Puja is celebrated for honoring Lord Krishna by remembering the incident of uplifting the Govardhan hill by Lord Krishna. Govardhan is a sacred mountain in Vraj. It is believed that Govardhan is an incarnation of Lord Krishna who was manifested in the form of a mountain. 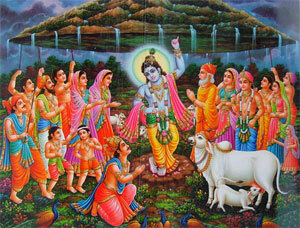 Lord Krishna had made the people of Vraj to worship the sacred hill of Govardhan. Once Indra Dev became arrogant and started showing off his powers. He started showering heavy rains and storms on earth, that became a trouble for mankind. Then, Lord Krishna raised Govardhan mountain on his little finger for saving the lives of people. He did that to provide shelter to the people of Vraja below that mountain, as a great umbrella. All the people and animals of Vraj went under the shelter of mountain and protected themselves from heavy rainfall and storms. Bhai Dooj is celebrated on the fifth or last day of Diwali festival. The festival is called with different names at different places such as Bhai Phota in Bengal, Bhai Bij, Bhau-beej or Bhav Bij in Gujarat, Maharashtra and Karnataka. 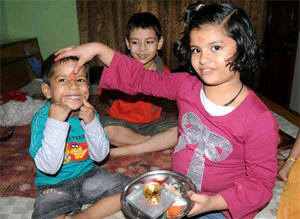 Bhai Dooj signifies the last day of the grand festival Diwali. It is a festival similar to Raksha Bandhan, which celebrates the pure love and sacred bond of brother and sister. Sisters apply Tika on the forehead of their brothers and pray for their well being and success. This ceremony takes place in the presence of all family members. All family members come together and celebrate the festival with full fun and joy. Long ago, the holy river Yamuna was very upset because her brother Yama (lord of death) had not visited to her since very long. She told river Ganga about this. River Ganga reminded her brother Yama about his sister. Then, Lord Yama visited to his sister Yamuna on this particular day of Bhai Dooj. She welcomed him with lots of love, wishes and gifts. Lord Yama became very happy and declared that anyone who visit to his sister on this special day of Bhai Dooj, he will be blessed with a long and happy life, and will get Moksha (salvation). Food is always a very important part of every Indian festival. Diwali is such a grand festival that some really exotic dishes are prepared for celebrating this special festival. So, on Deepavali in 2014, you can also prepare the dishes and increase the enjoyment of the festival of lights. Some of the dishes are listed below. However, it is said that non-vegetarian food is prohibited and traditional Indian vegetarian dishes are prepared. Hence, only the vegetarian and the best of sweet dishes will be prepared for celebrating Diwali in 2014. Prepare these traditional exotic dishes at your home or bring them from the market to celebrate the festival of Diwali or Deepavali in 2014. This was the description of five days of Diwali or Deepawali in 2014. 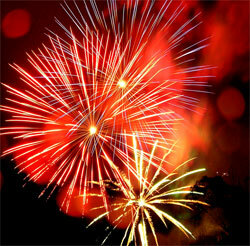 The celebrations of these five festivals make a grand festival Diwali or Deepavali. Celebrate Diwali in 2014 with full fun, joy, happiness and lots of good food. Diwali in 2014 comes with its grand celebrations, happiness and joy, and with a valuable message of triumph of good over evil. We should make our life like the Diyas or lights of Diwali or Deepavali that spread light and positivity in the lives of others. 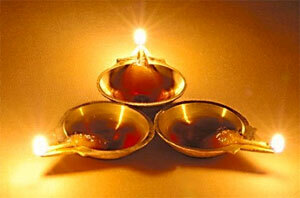 Light up these Diyas in your surroundings and within yourselves to enlighten from within.